Tag line: "Not for the faint-hearted..."
Trivia: Was re-edited for U.S. release as Doctor Butcher, M.D. Whoever came up with the title Zombie Holocaust for this 1980 film was selling it short; yes, there are zombies, but they don’t appear until well after the movie’s halfway point. Before that, it’s a straight-up cannibal flick, with a group of New Yorkers traveling to an exotic locale to track down the remnants of an ancient tribe of man-eaters. There are even elements of a mad scientist story thrown in for good measure (in the U.S., the movie was re-cut and released as Doctor Butcher, M.D.). 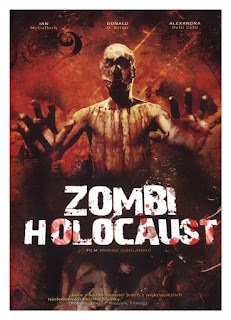 Once you get a look at the living dead, though, you realize that Zombie Holocaust was heavily influenced by Lucio Fulci’s Zombie (which was released a year earlier), and clearly the filmmakers were trying to cash in on that movie’s success. Yet despite its jam-packed storyline and a few intriguing scenes, Zombie Holocaust isn’t quite the film that Fulci’s masterpiece is. Someone has been stealing body parts from the cadavers at a New York City hospital, and Dr. Lori Ridgeway (Alessandra Delli Colli), a physician and amateur anthropologist, wants to know who is responsible. As it turns out, the guilty party is an orderly named Toran (Turam Quibo), who was born and raised in the Maluka Island region of Southeast Asia. After comparing notes with Dr. Peter Chandler (Ian McCulloch), an official with the city’s Health Department, Lori discovers that dozens of corpse mutilations have been reported all over the city in recent weeks, and, in each case, those committing these crimes (Toran included) bear the markings of a cannibal tribe that originated in the Maluka Peninsula. To get to the bottom of this bizarre turn of events, Lori and Peter head to Southeast Asia, where along with Peter’s assistant George Harper (Peter O’Neal) and reporter Susan Kelly (Sherry Buchanan), who tagged along on the trip, they consult with Dr. Obrero (Donald O’Brien), a scientist and longtime resident of the region. With Dr. Obrero’s trusty sidekick Molotto (Dakar) as their guide, Lori, Peter, and the others set sail for the Maluka Islands, unaware of the dangers that await them once they arrive. 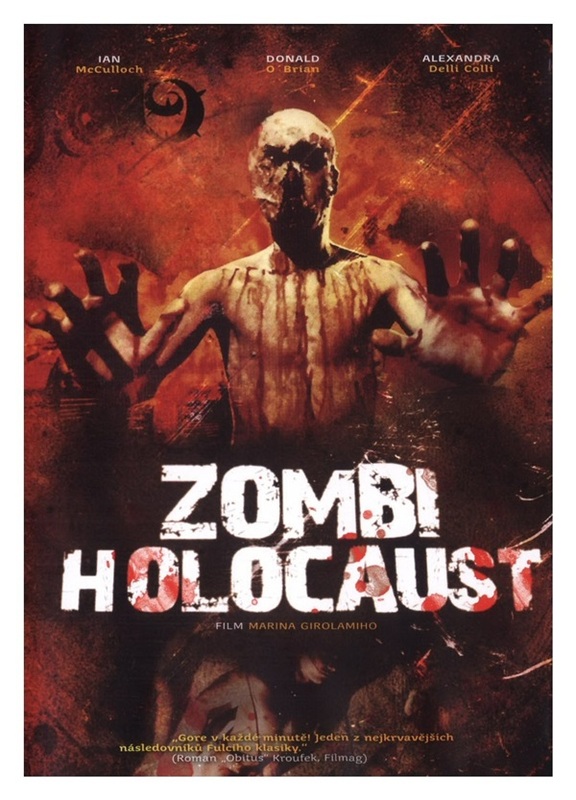 As mentioned above, Zombie Holocaust is, for most of its runtime, a cannibal film; when Lori and her associate Dr. Drydock (Walter Patriarca) catch Toran in the act, he is in the process of eating a heart he’d just removed form a corpse’s chest, and later on, when Lori and the others are making their way across an island, they’re attacked by a primitive tribe that slices open one of the group’s Asian assistants and makes a snack out of his intestines. As for the zombies, they resemble the living dead in Fulci’s Zombie, but unlike their counterparts in that 1979 film, they don’t feast on human flesh (in fact, these zombies don’t do much of anything). As for the special effects in Zombie Holocaust, they’re a mixed bag. The zombies themselves look good enough (at least in the face; their bodies have no make-up whatsoever), and the gore / splatter effects are above average. Less impressive, though, is the scene in which Toran, after being cornered by Lori and Dr. Drydock, commits suicide by leaping out a window and plunging several stories to his death (the mannequin that stands in for Toran loses an arm when it hits the ground). In addition to the lackluster effects, I also had some issues with the film’s final act (the “mad scientist” portion of its tale), which left me with more questions than answers. Yet what really annoyed me were the zombies themselves, which were far too docile (they have more in common with the zombies in the ‘30s classic White Zombie than they do the walking dead of the post-Romero period). In a movie titled Zombie Holocaust, you’d think that the zombies would have been a bit more integral to the story. Instead, they’re its weakest element. Overall, I’d still say that Zombie Holocaust was a good movie, but with a few tweaks here and there, it probably would have been a better one.